At the Downtown Evening Soup Kitchen (DESK), students from Southern’s Department of Nursing, along with community health workers from Project Access, participate in Know Your Numbers, a partnership that provides screenings, referrals, and patient navigation in the form of follow-ups. 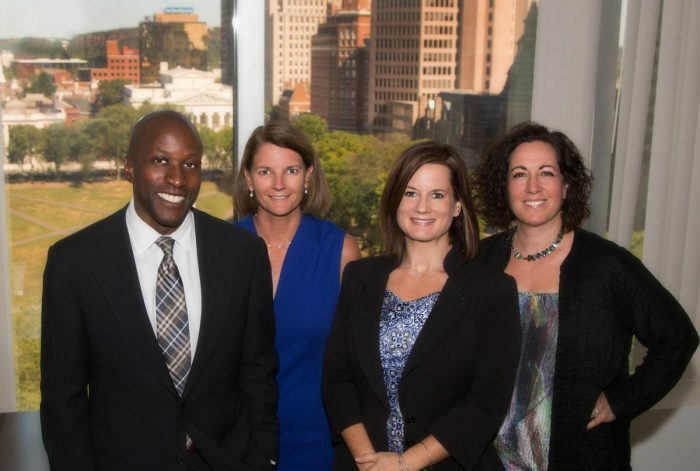 DESK is the first agency in New Haven to pilot the program, as a partnership with Yale New Haven Health and CARE (Community Alliance for Research and Engagement), which is based at Southern’s School of Health and Human Services (HHS). Because the people who come to DESK are often dealing with multiple problems related to living in poverty, DESK has established partnerships with other organizations to offer additional services during the mealtimes. Southern has been awarded a 5-year federal grant of up to $3.68 million from the Centers of Disease Control and Prevention in an effort to improve the health of vulnerable populations in New Haven. The grant will include $720,000 in the first year, with additional funding of a similar amount anticipated for the remaining years. The project, called Racial and Ethnic Approaches to Community Health, will be coordinated by the Community Alliance for Research and Engagement (CARE), an organization that is co-housed at SCSU and the Yale School of Public Health (YSPH). It is the largest grant ever received by Southern. A third of the money will be allocated to the New Haven community via local organizations and leaders with the intent of enhancing and developing health projects to benefit low-income and under-served populations. “Health disparities among communities of color in New Haven, particularly in low-income neighborhoods, are an urgent public health problem that we must address,” said Alycia Santilli, director of CARE and assistant professor in the SCSU Department of Public Health. She said the competitive grant – one of only about 30 awarded nationally this year — will bolster the efforts of various programs already making a substantial difference in New Haven. *Improve access to health programs in New Haven for individuals at higher risk for developing a chronic disease. Among the ways to do this are to expand the New Haven Health Leaders program, which engages New Haven residents and SCSU graduate students who live in New Haven to address health disparities in their local neighborhoods. *Expand Project Access New Haven’s community health worker model to help identify people who might not have a primary care physician and who may need social services, such as food and transportation. This work will take place at social service agencies, such as food pantries, throughout the city to help clients put into practice the health advice they receive. *Start a nutrition ranking system at food pantries so that clients can more easily determine which foods are healthy. *Promote community support for breast feeding among vulnerable populations. *Work with transportation officials to help ensure that people can walk and bike to their destinations, as well as have access to bus transportation. Sandra Bulmer, dean of the SCSU School of Health and Human Services, said the grant is very important for the school, the university and the New Haven community as a whole. “This grant supports our community partners with their important work, provides resources for New Haven residents, and simultaneously expands practice-based learning opportunities for our undergraduate and graduate students,” Bulmer said. The grant will bolster the partnership between YSPH and SCSU, with SCSU implementing community activities and YSPH implementing evaluation activities. The evaluation will be led Kathleen O’Connor Duffany, CARE’s research and evaluation director, and YSPH faculty. The project is set to begin immediately. CARE and New Haven are ideally positioned to implement this project, according to Santilli, noting that CARE has an 11-year history of partnerships in New Haven. One of those partnerships is with Project Access of New Haven. Darcey Cobbs-Lomax, executive director of the organization, said she was excited to learn of the grant award. This fall, The Community Alliance for Research and Engagement (CARE), based at Southern’s School of Health and Human Services, launched its “New Haven Neighborhood Health Leaders” program, a leadership program for SCSU students, faculty, and New Haven residents to work together on solutions to pressing social and health issues identified by the community. 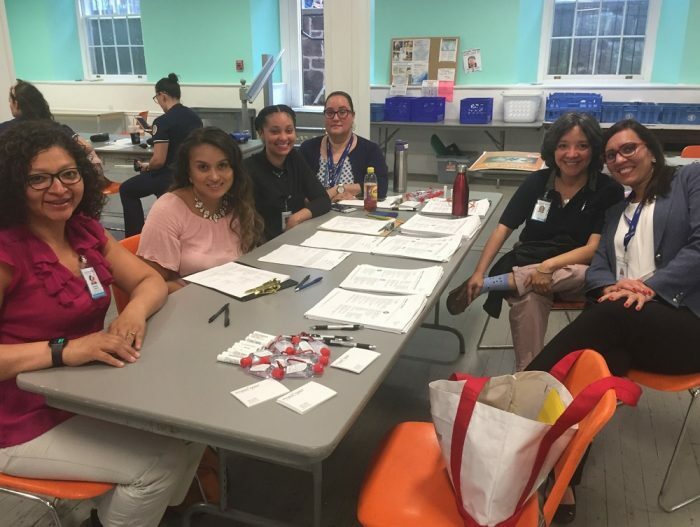 Alycia Santilli, CARE director, explains, “The program is based on CARE’s work in New Haven – organizing around health issues at the grassroots level. This program helps to put a framework on and build upon several years of work.” Examples of past CARE projects have been community gardens, creating urban walking trails, bringing mobile farmers’ markets and food pantries to underserved neighborhoods, nutrition education and exercise programs, and supporting neighborhood antiviolence initiatives. The Health Leaders program is open to faculty and graduate students in the School of Health and Human Services, as well as to residents of the Dixwell, Newhallville, West Rock, Beaver Hills, and West Hills neighborhoods. Two cohorts are being funded in the 2017-18 academic year, with the opportunity to implement a community-based participatory research (CBPR) project. 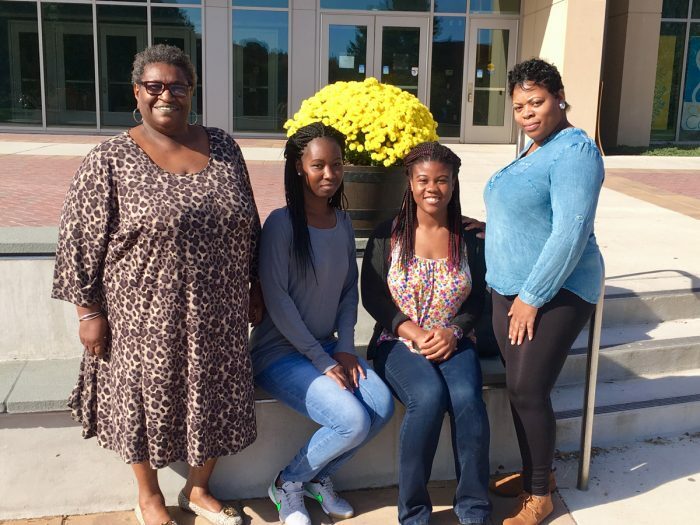 The health leaders that started this fall include two city residents — Jacqui Pheanious, a resident of the Beaver Hills neighborhood and Makia Richardson, a resident of the West Rock neighborhood – and two MPH students, Cerella Craig and Meadeshia Mitchell. The graduate students are GAs, paid through a grant. The neighborhood health leaders are asked to commit about five hours a week to the program in return for a monthly $200 stipend. The same four people will be continuing through the spring semester and are working on project planning now. In West Rock, they are focusing on transportation and safety issues, and in Beaver Hills/Whalley, they are focusing on health promotion in barber shops. The intent of CBPR is for researchers to work side by side with community members to define questions and methods, develop interventions, implement research and evaluation, and disseminate the findings. The two cohorts are focusing their work in two geographic areas — Dixwell/Newhallville/Beaver Hills and West Rock/West Hills — as a means to better engage with neighborhoods immediately adjacent to Southern. The health leaders work closely with residents of these neighborhood to identify an issue to tackle together. The responsibilities of the health leaders include working in collaboration with CARE’s community coordinator and SCSU faculty and students to build relationships with leaders, other residents, and organizations in the New Haven community. Part of the work they do is to develop health activities and initiatives in collaboration with neighborhood groups and SCSU faculty and students; conduct outreach about neighborhood level projects and other CARE-related projects; and work with leaders and residents through neighborhood associations and groups to develop and implement projects that meet their priorities and needs. The mission of CARE is to improve health in New Haven. CARE seeks to build bridges and share resources between Southern and the community to improve the quality of life for all residents. It is developing neighborhood-level health interventions with local neighborhood groups. 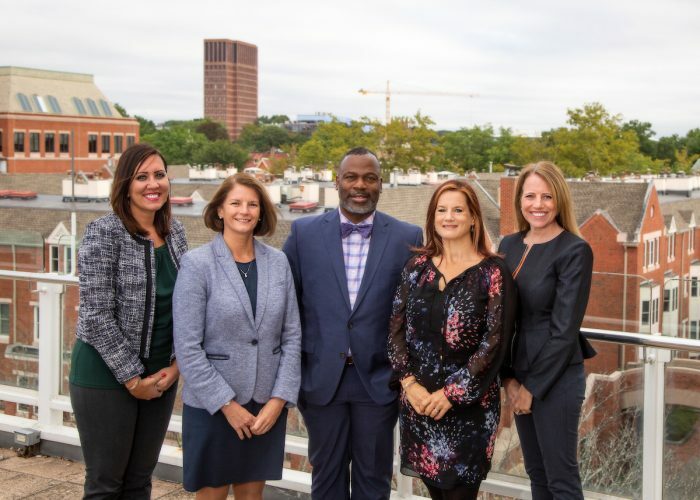 The Community Alliance for Research and Engagement (CARE) is partnering with Southern Connecticut State University to enhance its ongoing efforts to improve the health of residents in New Haven’s lowest-income neighborhoods. Since its founding in 2007 at the Yale School of Public Health, CARE has worked to identify solutions to health challenges such as diabetes, asthma, and heart and lung diseases through community-based research and projects focusing on social, environmental, and behavioral risk factors. During the next three years, CARE will transition from Yale to SCSU’s campus, with SCSU becoming responsible for CARE’s community engagement work. Yale will continue to manage and finance CARE’s research agenda while gradually shifting that work to SCSU. The new SCSU Center for Community Engagement will help foster student service learning, advance community-engaged scholarship, and benefit CARE’s community partners, said Sandra Bulmer, dean of SCSU’s School of Health and Human Services (HHS). With Alycia Santilli as director, and Ickovics serving in an advisory capacity, CARE is beginning its transition to SCSU this month, Bulmer said. Southern’s School of Health and Human Services is unique in Connecticut in combining seven disciplines under a single umbrella – communication disorders, exercise science, marriage and family therapy, nursing, public health, social work, and recreation, tourism, and sport management. As a result, academic opportunities are highly interdisciplinary, while the school’s wide range of internships means that students participate in the community while earning their degrees. “SCSU’s students and faculty are tremendous assets that will bring CARE expanded opportunities in community-based research, programming, and policy change, leading to further improvement in the health of New Haven residents,” Bulmer said. During the transitional period, YSPH will remain as the central hub of CARE’s research activities, with a focus on data analysis from its New Haven Public Schools and neighborhood health surveys, said Santilli, who began her employment with SCSU Sept. 23 as a special appointment faculty member in the Department of Public Health. “The potential of student, faculty, and staff power, combined with the legacy of work initiated over the past decade at the Yale School of Public Health, will be leveraged in a new way that I hope will have a lasting impact for another decade to come,” Santilli said. Santilli, who has been with CARE since 2007, will spend the coming months transitioning CARE’s operations to Southern’s campus, developing CARE’s new strategic plan, and launching its new community engagement activities. She will split her time between offices at Lang House and Southern on the Green in downtown New Haven. More information about CARE, including its accomplishments and publications, can be found on the CARE website. Dr. Sandra Minor Bulmer, professor of public health, has been named as the university’s new dean of the School of Health and Human Services, effective immediately. Bulmer has served as a faculty member in Southern’s Department of Public Health since 1999, as a full professor since 2009 and interim dean of HHS since 2014. A specialist in college student health issues and women’s exercise and health, she has excelled as a teacher/scholar, demonstrated a strong commitment to mentoring students, and provided a high level of service to her department and the university. Bulmer has been active in campus leadership activities, including a six-year term on the Faculty Senate, chairing the Honors Thesis Committee since 2010 and chairing searches for the Vice President of Student Affairs and, most recently, the new Director of Intercollegiate Athletics. Since fall 2014, in her role as interim dean, Bulmer has focused on building a community environment within the School, expanding inter-professional collaboration among faculty and students, increasing resources for high-demand degree programs, and developing new programs that address workforce needs in the state of Connecticut. Under her leadership the Department of Nursing initiated reforms to their admissions process, the Exercise Science Department created and launched a new degree program in respiratory therapy, and the Social Work Department is creating a new doctoral degree program. She also led a team of 20 faculty through the development of an initial building program for the School, worked with her associate dean to expand collaborations and build relationships in the New Haven community, and supported faculty with the launch of academic partnerships with Liverpool John Moores University (LJMU) and Beijing University of Civil Engineering and Architecture (BUCEA). In addition to her work at Southern, Bulmer is the current president for the Society for Public Health Education (SOPHE), volunteers with the Institutional Review Board and Robert Wood Johnson Clinical Scholars program at Yale University, and serves on the Board of Directors for the Connecticut and Western Massachusetts Division of the American Heart Association. Bulmer has been the recipient of several notable honors, including the J. Philip Smith Outstanding Teaching Award in 2003 and the Society for Public Health Education’s Outstanding Service Award in 2011. During her tenure as Director of Fitness Operations with Western Athletic Clubs in San Francisco, the International Health, Racquet & Sportsclub Association (IHRSA) selected her as their first ever Fitness Director of the Year in 1991. Under her guidance, Western Athletic Clubs was one of the first major employers in the fitness industry to require college degrees and relevant certifications for personal trainers and other fitness professionals. In 1997, Bulmer left her position at Western Athletic Clubs to obtain her Ph.D. in health education at Texas Woman’s University in Denton, Tex. She also holds a B.S. in physical education from California State University Hayward and an M.S. in physical education with a focus on exercise physiology from the University of Oregon.